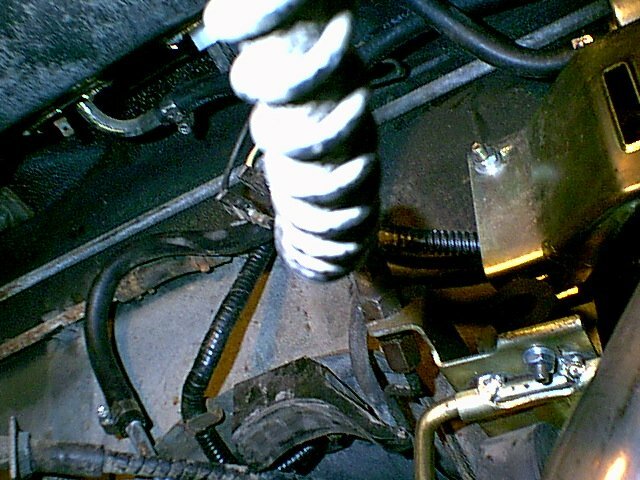 The best way to mount the fuel pump and filter is to use the same method that the factory used on injected cars. 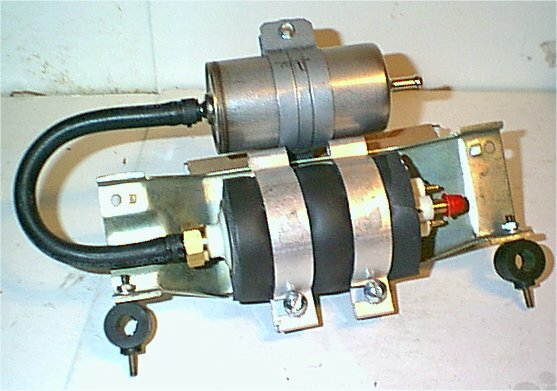 Fuel Pump: First, obtain an electric fuel pump. Airtex p/n E8094 is a good choice since it is designed specially for retrofit TBI systems, and uses 7mm hose at both the inlet and outlet. 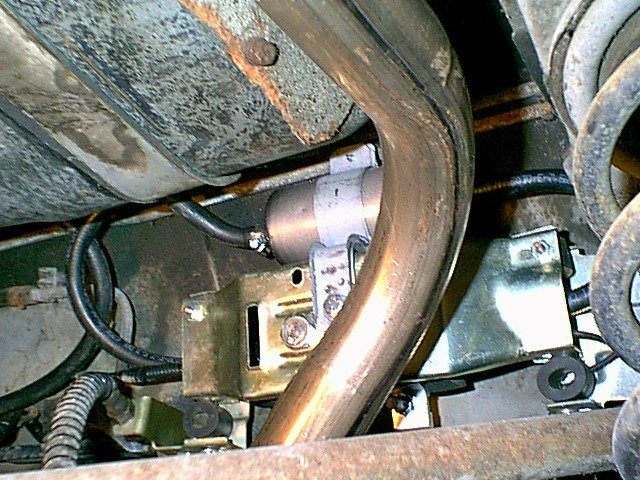 The E2182 pump is not suitable because it requires a much larger inlet hose which presents problems with hookup to the fuel tank (since the TKC6552 pickup is not available), and since most fuel filters are also 7mm inlet/outlet prevents installing a fuel filter ahead of the pump unless one uses a convoluted group of adapters for which there is not enough space. Mounting Bracket: We have a supply of original factory style brackets available, and if demand warrants will have these remanufactured. 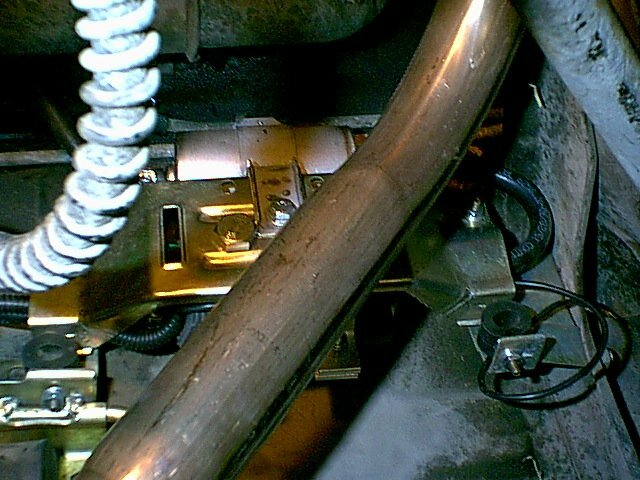 Assemble the brackets, fuel pump and filter as shown above. The fuel filter we use is Purolator p/n F54718. It is necessary to loosen the strap that comes with the filter and turn the filter around in order for it to mount correctly. Parts required for the bracket are: RKC4717, TKC5819, RKC4714, CAC1706, CAC3477, CAC2481 x 2, UKC9754 x 4, plus misc hardware kit. It may be necessary to wrap some electrical tape around the fuel pump if it does not fit tightly enough in the foam padding. Fuel Hose: Four pieces of 7mm hose will be required: suction from tank (17cm); filter to pump (21cm); pump-line (33cm) and return tube-tank (48cm).